The Lady Gregory Hotel & Swan Leisure Club is conveniently located just off the M17 in Gort, Co. Galway. The Burren is a remarkable bare limestone area with a combination of many unusual moonscape features. It is home to many varied species of flora. The Cliffs of Moher are situated on the Clare coast. They offer remarkable views of the Atlantic coastline, Connemara Mountains and the Aran Islands. Lovely bright spacious rooms. Staff were all very friendly and attentive. Great selection and choice for breakfast. Food in the bar was also excellent. The leisure facilities in the hotel are excellent and spotless. 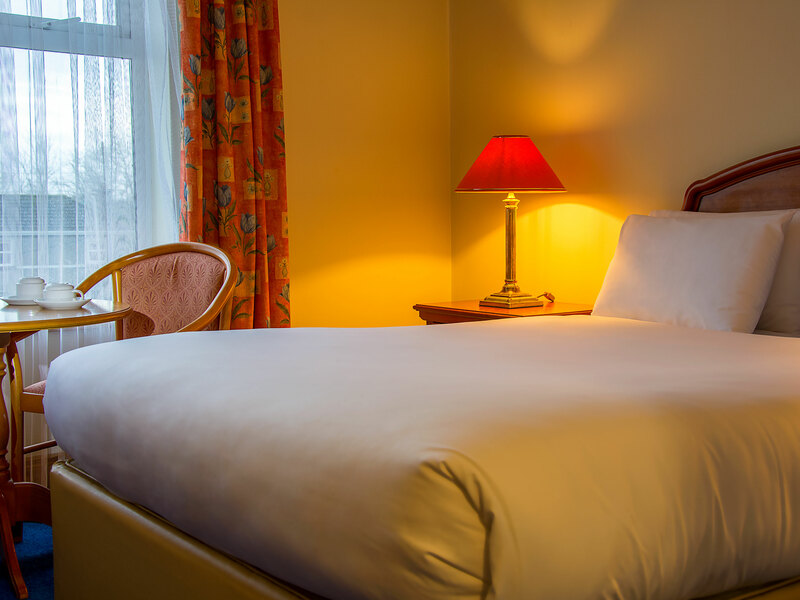 The hotel is very convenient for visiting the Burren and also within walking distance of the train station which serves Galway and Limerick.. Excellent staff very helpful couldn't do enough for us .the food was fab ,and the spa great I had a facial and a massage very relaxing will return again . The Blackrockers take 2! The groupschemebreaks.com website incorrectly states that the dinner included in the 2 nights b and b and one evening meal is 2 courses. We were very pleasantly surprised to discover that the meal is actually 3 courses and tea and coffee. It is important to get that message out there. We thoroughly enjoyed this hotel. We were a little apprehensive booking the hotel because it was such good value but we were so wrong. The room was spacious, very clean and comfortable. The staff we exceptionally good in every way, without being over the top, and they seemed to enjoy their work. Fabulous pool. The hotel is really well located for touring both Galway and Clare. Great Hotel! They gave us a lovely room. Spacious, super clean! We had dinner in the bar as well which was absolutely lovely! Really nice food! The breakfast was freshly cooked and tasted great. The staff were very polite and efficient. A great stay alltogether! Would always go there again! We really enjoyed our stay in the Lady Gregory Hotel. The staff were very friendly and helpful, the rooms comfortable and the food excellent. We used our stay to explore Coole Park (former home of Lady Gregory, and visited by large numbers of literary figures), as well as a base for a drive through the Burren. Highly recommended. We found the Lady Gregory Hotel, to be welcoming, friendly and fantastic value for money. The food was a wonderful combination of comfort food and wonderful tastes. Well cooked and presented efficiently by very friendly staff. The rooms were extremely comfortable and clean and we found that the a hotel to be very family friendly and homely. 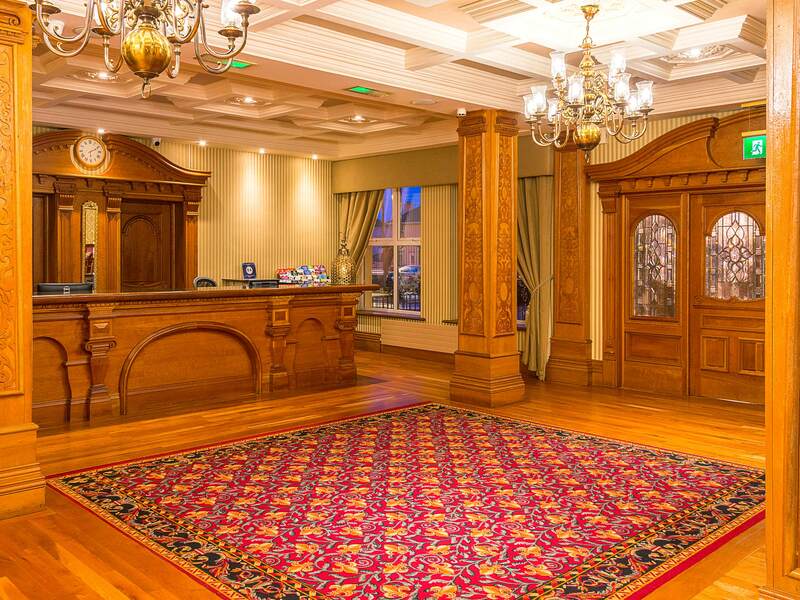 Although not much in Gort itself the hotel is ideally located for a starting point for the all the local sites, from The Burren to the Cliffs of Moher. The Allwee Caves with their Raptue Experience is a must for everyone.. We have no hesitation in recommending the lady Gregory and would definitely return for a nights stay in the future. Beautiful and charming place to stay. Staff are wonder. We did enjoyed our stay.. This hotel really lived up to my expectations. Great place to stay with friendly hardworking staff and excellent food. Ideal spot for touring as near to Clare, Ennis and lots of very interesting places such as Coole Park amd Yeats tower etc. Went for a short New Year break and it was lovely. Would love to stay there again at a later stage and would recommend it to family friends. It was also great value Thanks, Myra. This is a very nice hotel.! About a 5 to 10 minute walk to the centre of Gort. Rooms and the general decor were excellent. Hotel bar was very good. More like a pub than a typical hotel bar.Dinner was excellent. Only dissapointments were no WiFi and breakfast. Breakfast was a small cereal/juice buffet and then table served and dissapointing hot with watery coffee. Buffet style is becoming the norm in most Irish hotels. Perhaps the Lady Gregory should follow and with a self serve bean to cup coffee machine! That said we would return again. We availed of a short break, and found the Hotel to be Clean , with tea & coffee facilities in the room. The room was large with comfortable beds, & a clean on-suite toilet, bath, & shower. The staff were friendly & helpful. The food we had for were good. We were a little disapointed with the veg. served with the dinner we had. It was mixed together, more like a hash. It is nice to see & be able to identify the veg one is eating. Overall we were satisfied. We visited this hoel for the first time and found it very nice & comfortable. The staff were friendly and helpfull. We will definitely go back. had a wonderfull time, great hotel. excellent staff. great place to stay, and gort is a lovely friendly town . cath. We had a long weekend with our family and found that the staff rooms and the size of the rooms was excellent. We ate in both the bar and the resturant and found the food and staff were great. 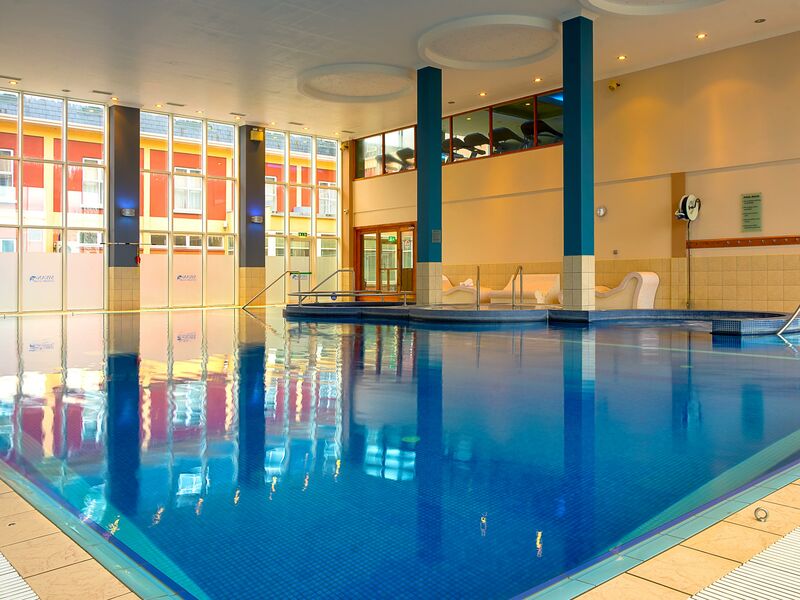 We used the leisure facilities and again no issues, we really did have a great weekend and will be booking again!!! Also its location is great in relation to other heritage sites in and around the area, well wortha visit!! I haven't one bad word to say about the Lady Gregory Hotel. The family room we were allocated was very spacious and clean, the leisure facilties were very good with a decent sized pool and separate one for the kids. The food was very tasty and the portions more than generous. However the best thing about this hotel is its staff, every one of them were more than helpful but a special mention to Brian who went out of his way to get our wifi sorted (making 2 boys and their parents very happy!) and to Sheila behind the bar for passing on all her local knowledge of places to go. Thankyou we will be back and have already recommended you to all our family and friends!